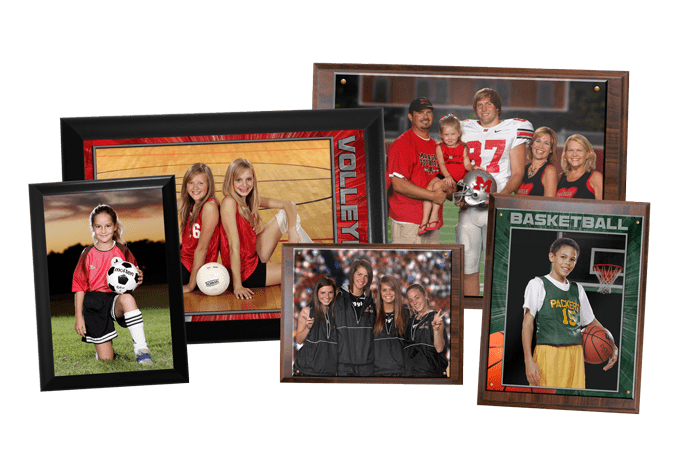 Black Trimmed Plaque – 5×7 & 8×10 black wood trimmed plaques with the image sublimated directly onto the surface (image size slightly smaller than product). Wood Photo Plaque – a traditional style plaque featuring a photographic print, mounted on a wooden board with Plexiglas & brass tacks. Available in 8×10, 5×7, and 4×6 image sizes.